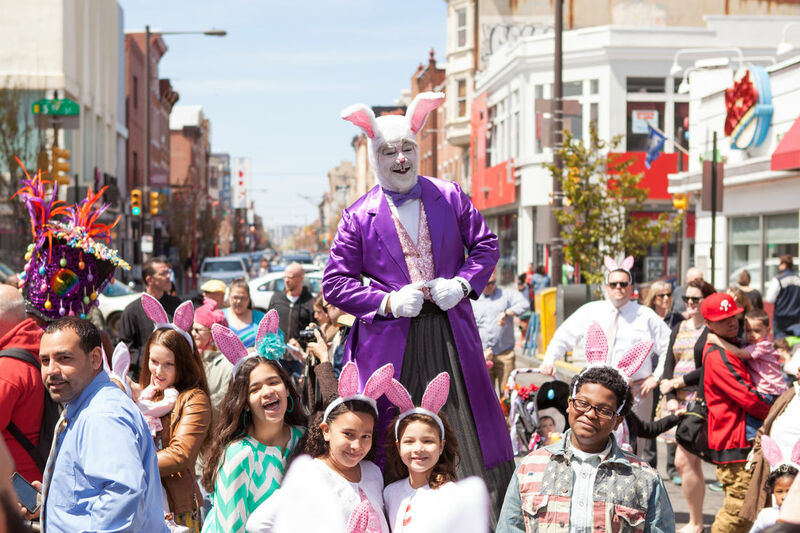 Hop on down to South Street for egg-citing family fun during Philadelphia’s 88th Easter Promenade on Sunday, April 21, 2019 starting at 12:30pm. Master of ceremonies Henri David returns to lead the parade from Passyunk Avenue and South Street (between 4th and 5th streets) down to Headhouse Square. Enjoy Easter treats, live music from the Philadelphia Freedom Band, the Bunny Hop, Mr. and Mrs. Peter Cottontail and much more. Bring your camera and meet the Easter Bunny himself, and see who wins the best dressed contests! Children, adults and even pets can enter to be crowned Best Dressed, or best Easter Bonnet. Families are invited to stay after the event for a fabulous brunch on South Street. For info, visit www.southstreet.com, tweet @officialsouthst or call 215-413-3713.